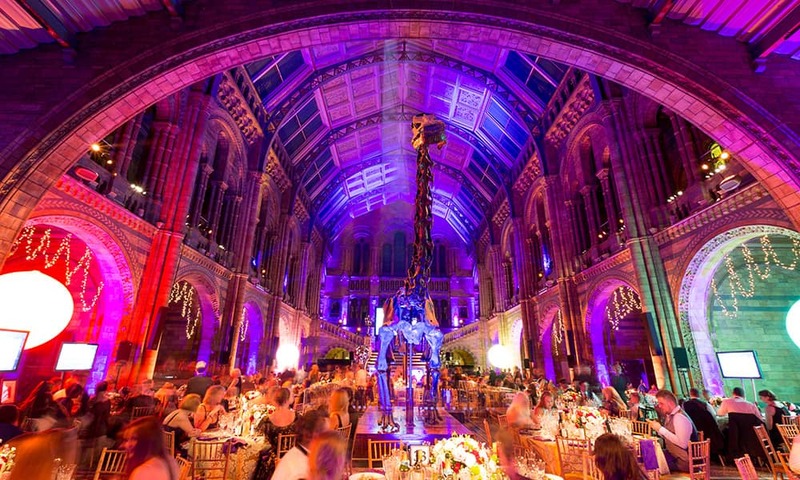 The Natural History Museum has an incredible range of venues for Christmas parties, however large or small your event. 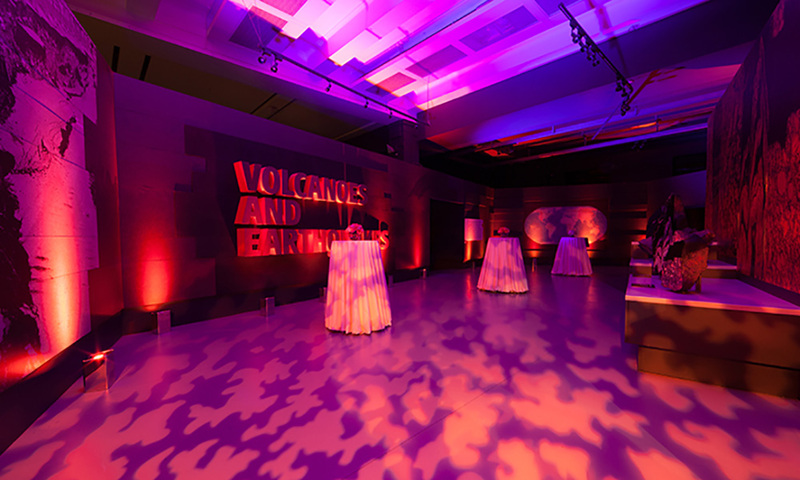 Enjoy exclusive pre-dinner drinks receptions in our galleries or let us design a unique experience for your party. Our expert team will help you to choose the perfect space for your Christmas party, whether you are looking for an event with maximum impact or a more intimate celebration. 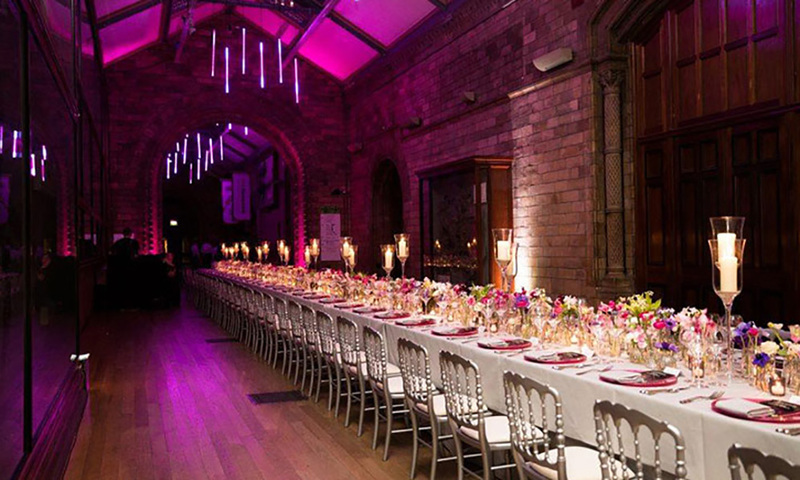 The newly refurbished Hintze Hall at the centre of the Museum is the largest space for entertaining, hosting dinner dances for 450 guests and dinners up to 650. 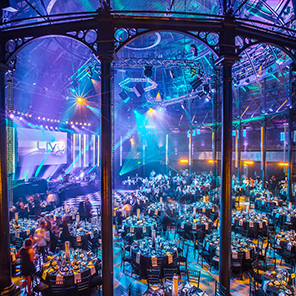 The venue will hold over 1,000 people for a drinks reception with food stations or canapés and bowl food. 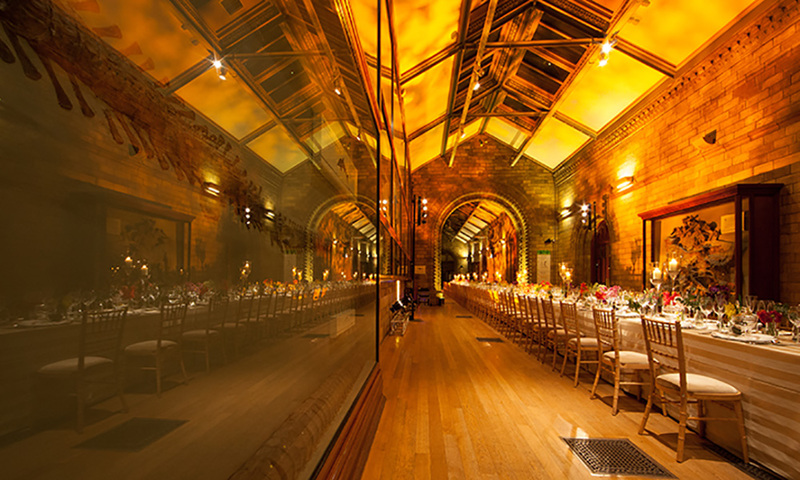 The Earth Hall with a capacity of 200 guests for dinner or 400 for a reception offers a specially designed, fully inclusive package. 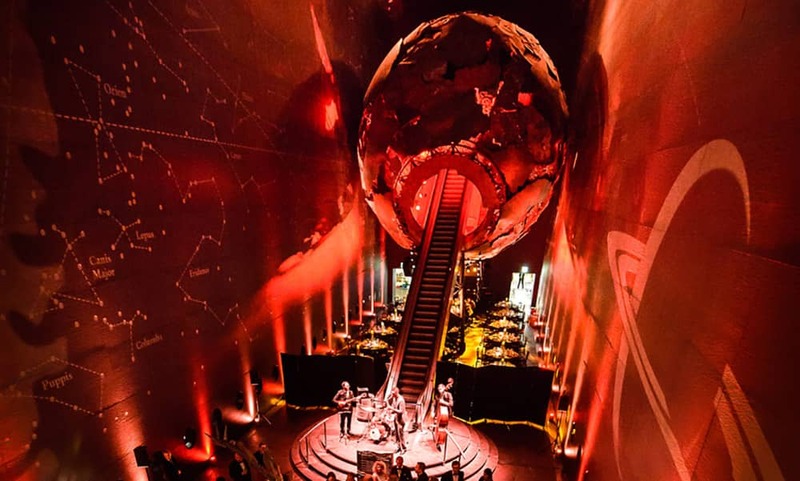 You can also choose to book the Earth Hall and arrange your own choice of caterers and entertainment from our comprehensive list of partners. Take over the Museum with up to 3,000 guests. 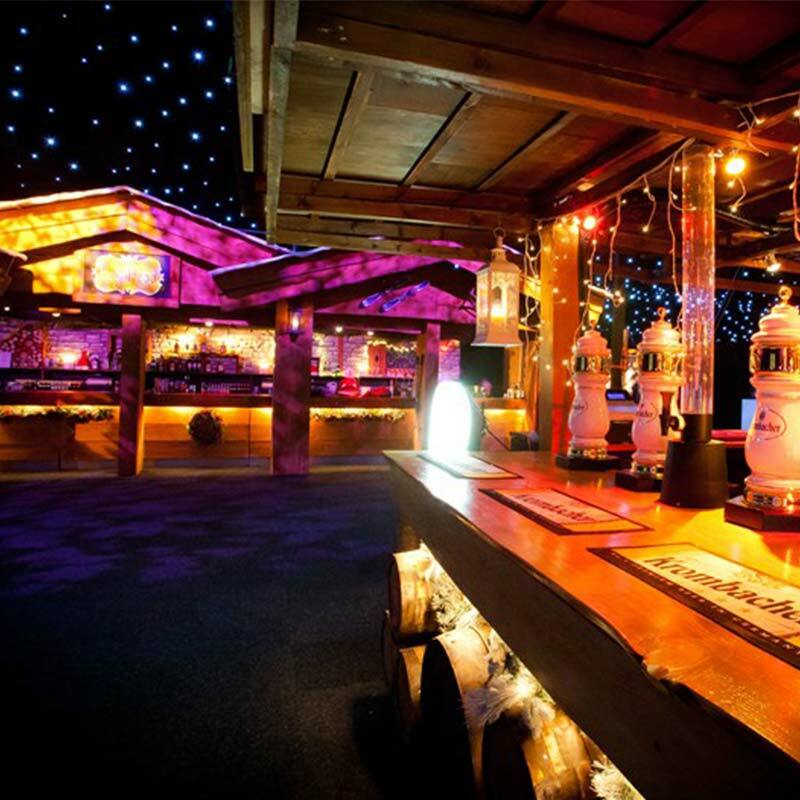 Exclusive parties are available at this venue, please contact the office on 01273 858206 to discuss your bespoke Christmas party, dates and prices. 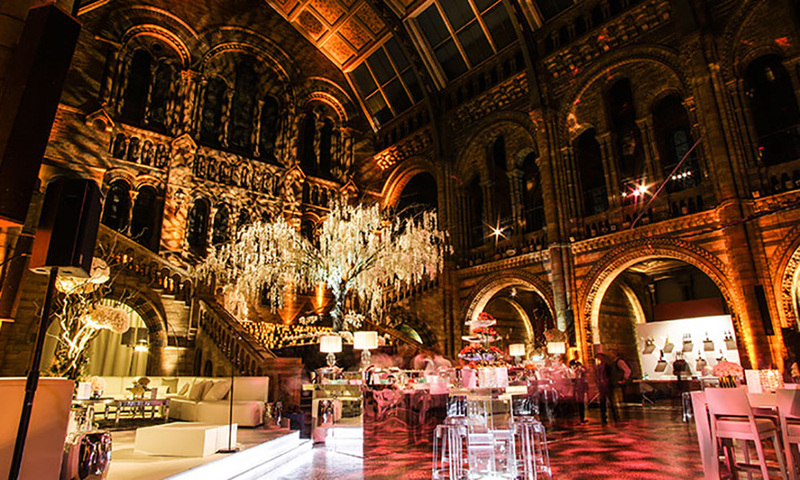 Where is the Natural History Museum Christmas Party? 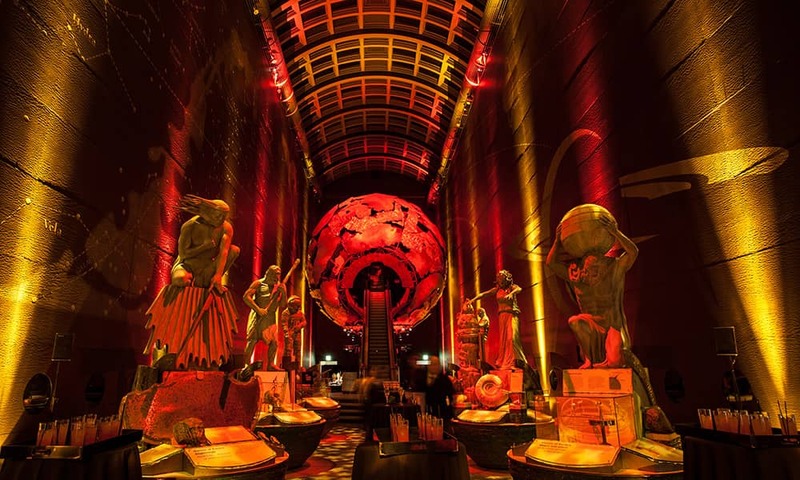 The unforgettable and world-famous Hintze Hall provides a stunning backdrop to any Christmas party, with its grand entrance leading to soaring Romanesque arches, a magnificent stone staircase and new dramatic exhibits. The centrepiece to the space is a blue whale skeleton suspended from the ceiling complemented by a fascinating range of new specimens in the bays to the sides of the room. As night falls, the exterior of the venue will be illuminated, creating an atmospheric entrance and a sense of intrigue for what awaits within. As guests arrive they will pass through the magnificent entrance archway, into one of the beautiful galleries ~ Fossil Way or Dinosaur Way. 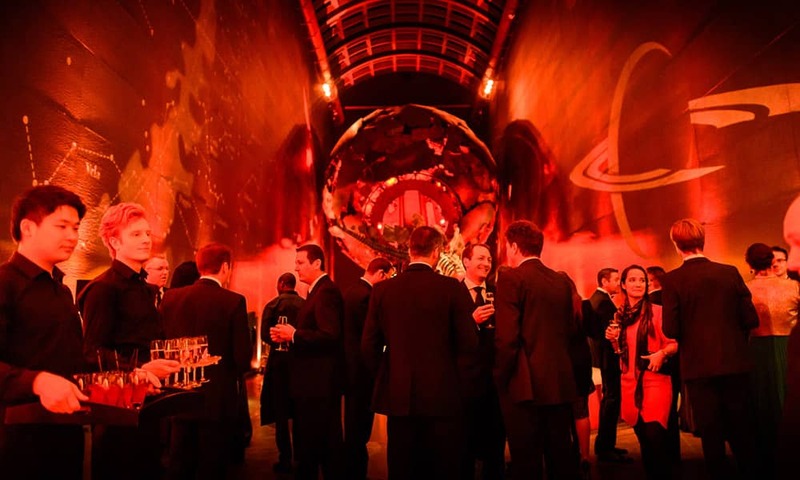 After arrival drinks, the awe-inspiring Hintze Hall will be revealed. Guests will then be treated to wonderful catering from one of our many accredited caterers and then dance the night away in the Museum to a band or DJ. 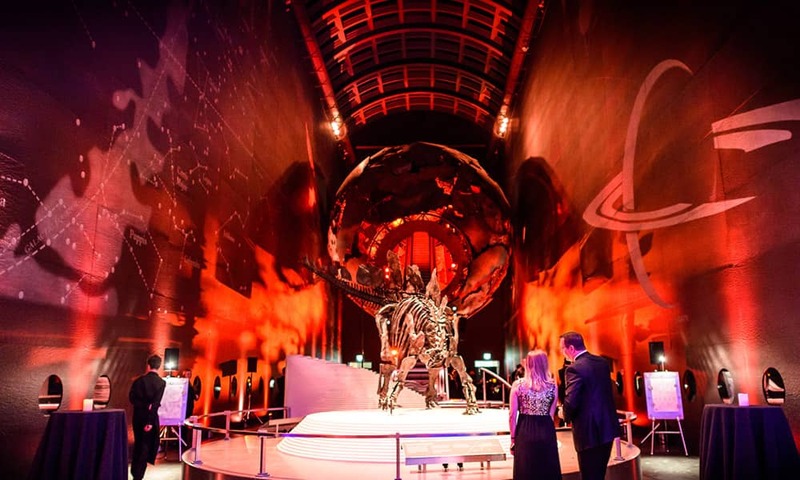 The Earth Hall is entered through a grand entrance on Exhibition Road, with guests greeted by the amazing dinosaur specimen, the most intact Stegosaurus fossil skeleton ever found. 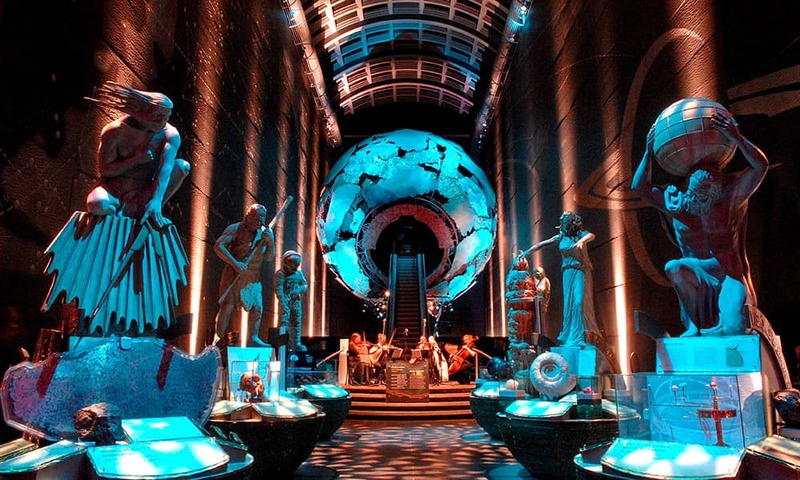 The celestial map adorning the Earth Hall’s walls and the giant Earth sculpture above provide a dramatic backdrop for a seasonal celebration. 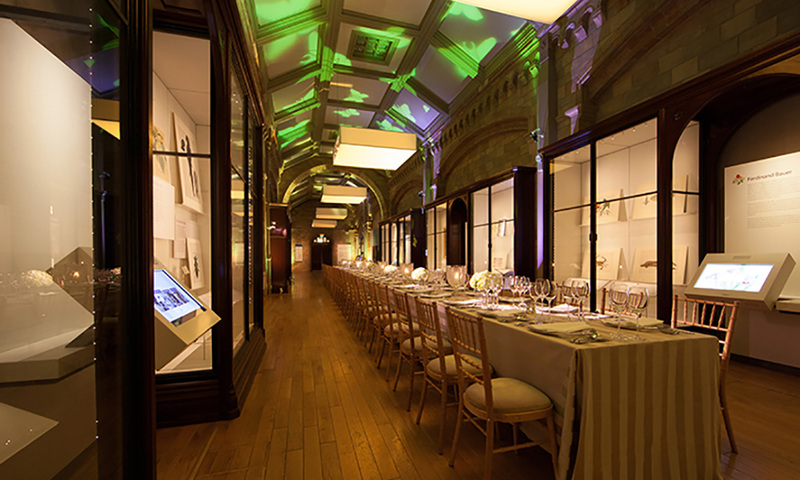 The Natural History Museum isn’t just renowned for large parties – we also have a number of more intimate spaces within the galleries, for groups of up to 40, including the Images of Nature Gallery and Earth’s Treasury. For smaller groups we can also offer private talks and tours. 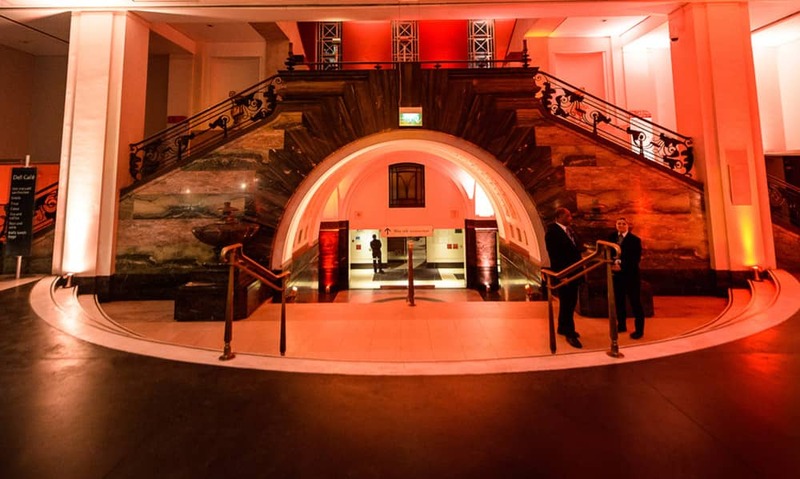 To make your event more special we can provide additional spaces for arrival drinks, with private viewings of other exhibitions including the highly popular Wildlife Photographer of the Year Gallery. 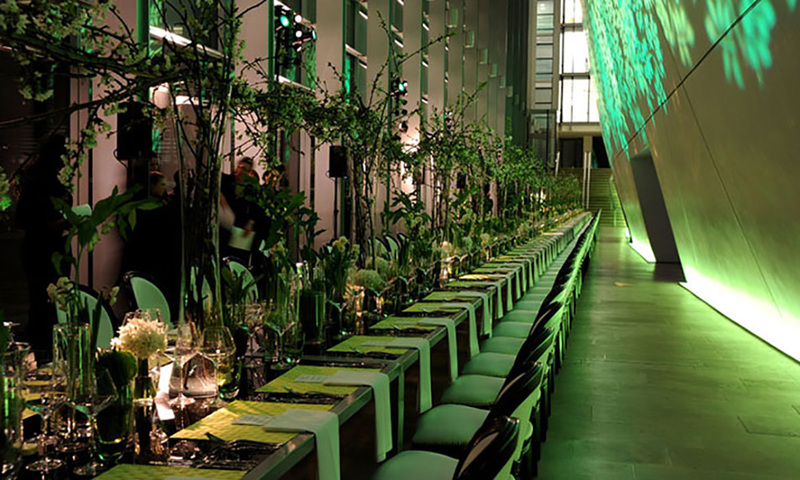 The Museum also has larger, more contemporary spaces, including the Darwin Centre, with its steel struts and reflective glass, which provides space for 150 guests for a dinner. 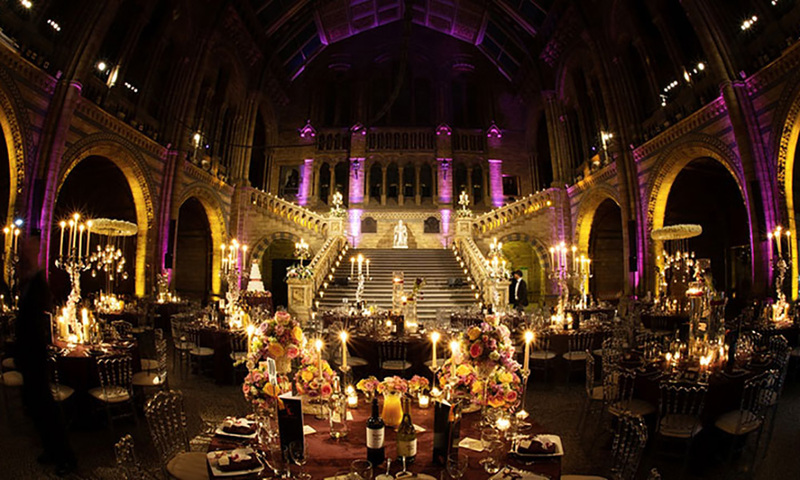 Why host your event at the Natural History Museum? 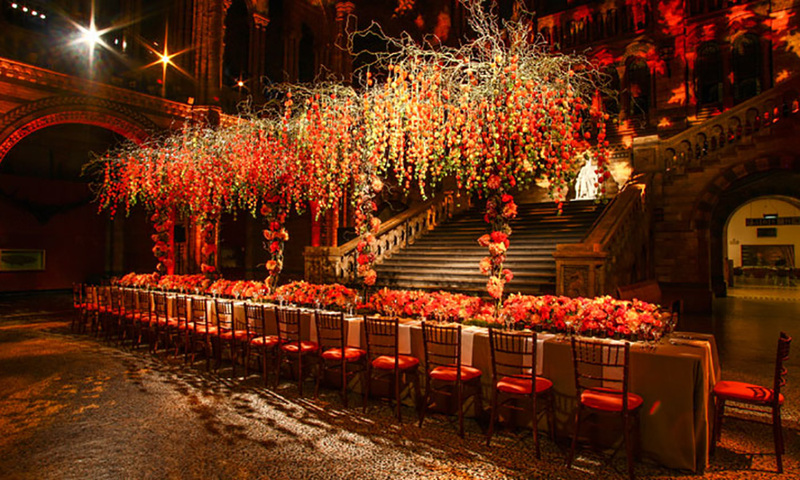 The dedicated events team has a wealth of experience hosting prestigious dinners and receptions, and many of our clients come back to us every year. By hiring the Museum you are contributing to maintaining this historic venue and funding ongoing scientific research. We have won a range of accolades for our environmentally friendly practices and consider our impact in everything we do. 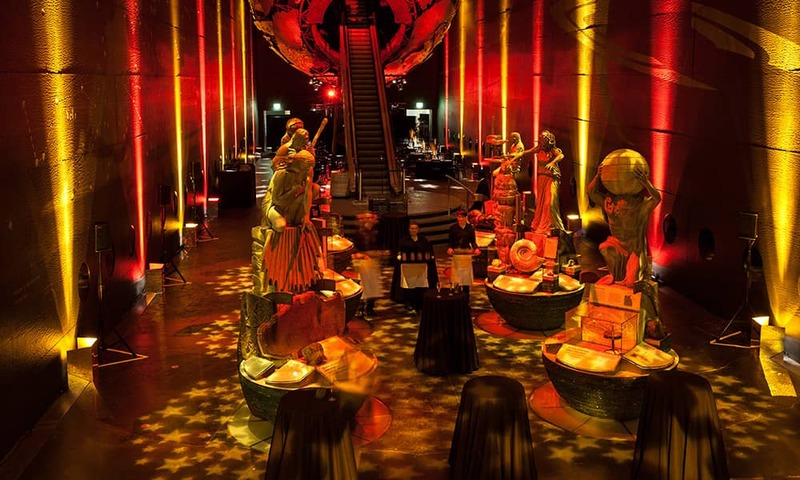 Hire the whole Earth Hall for your celebration, with our accredited suppliers on hand to cater your event and transform the space for you! 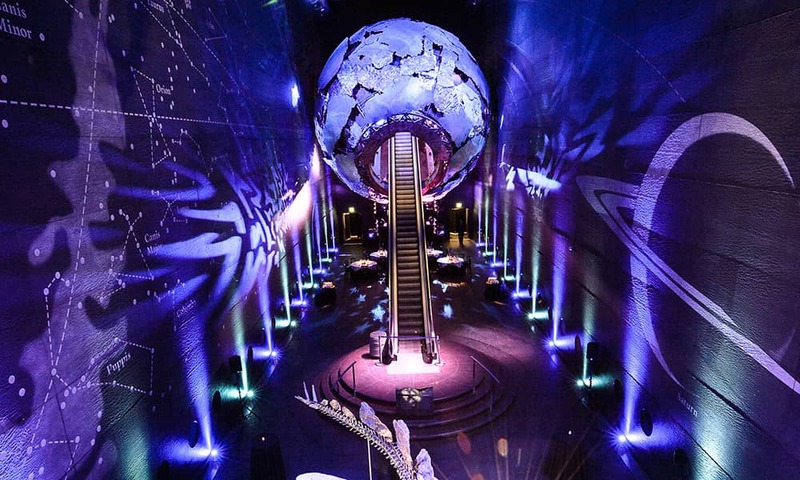 During your event your guests will have the chance to ascend the escalator that transports them through the centre of the Earth into the surrounding geological galleries, for an additional fee.